This 2 broke leather jacket is modish and cool outfit to look simply outstanding. It is worn by Beth Behrs in the drama series named as “2 Broke Girls”. 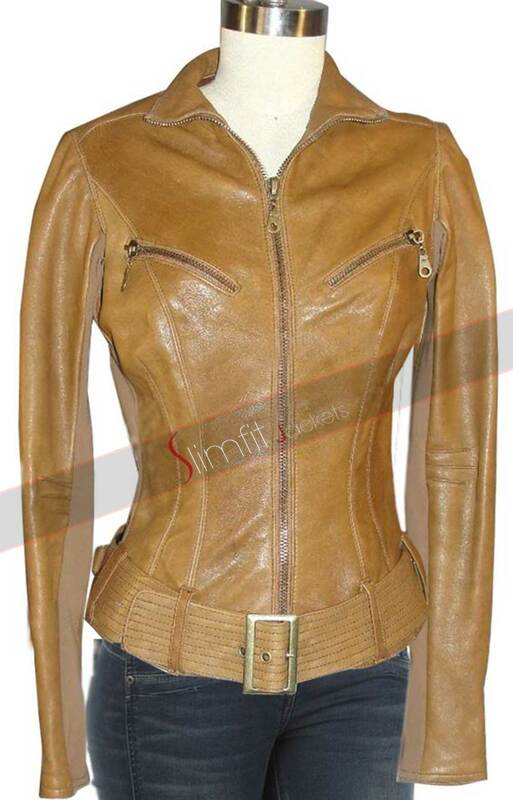 This Beth Behrs Brown jacket is made of 100% real leather with inner layer of viscose lining. It has long lapel style collar and front single button closure. This 2 Broke Girls Beth Behrs fashionable garment has two slanted pockets. It would the best choice for parties, social events and formal gatherings. Get this most stylish leather jacket at most affordable price.